The Lawnflite Wood Chippers offer excellent value, high quality, and superb performance, and are aimed at both the domestic user, and the semi professional user. 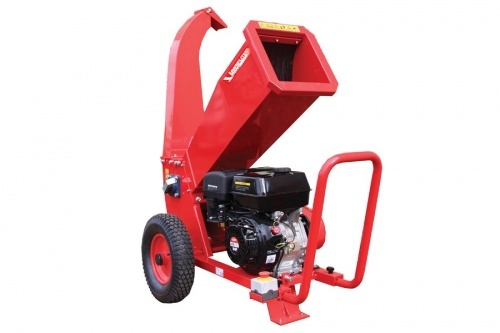 Available in 3 sizes, and powered by Loncin engines, these Wood Chippers are designed to be easy to use. Features include a drum mechanism on which 2 blades are fitted, which are designed to draw in and chip branches up to 8. 5cm - depending on the model. Other features include a large hopper, an adjustable deflector, an emergency stop button, large transport wheels fitted with ball bearings for smooth operation, and a built in handle. Supplied with 1 year manufacturers warranty. Take a look inside our Worcester branch! Take a look inside our Hereford branch! Before most of our new machinery is sent out it undergoes a Pre Delivery Inspection (PDI) using Aspen petrol. We advise you to continue to use Aspen petrol once your machine arrives. It has several advantages over "pump" petrol, such as being cleaner & providing optimum protection for your machinery, while also being storage stable for 5 years. For more information, click here or visit aspenfuel.co.uk. Zero Turn Mowers allow you to mow in even the tightest of situations. Able to turn on the head of a pin they are easy to maintain and perfect for mowing on hospital verges, in caravan parks, leisure centres, country estates. PLEASE NOTE: Branches are open as usual Friday 19th & Saturday 20th April, closed Sunday 21st & Easter Monday 22nd. Click for info.